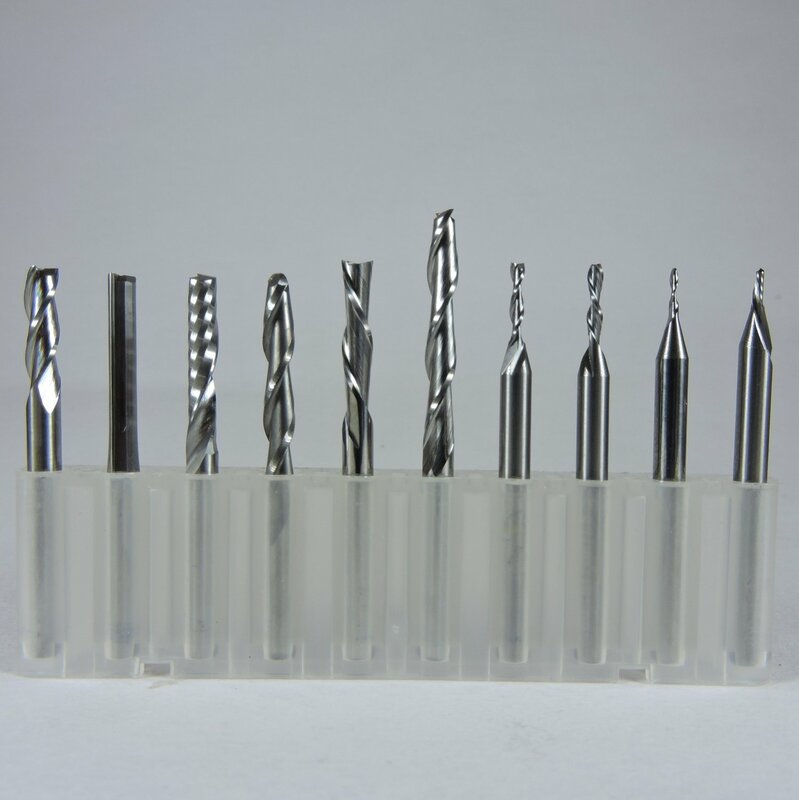 This set of 10 bits is ideal for trying out different bits. Each bit is available for sale individually alos and you can buy each one as per your requirement later. All bits have a 3.175 mm shank. 3F Spiral Up Cut - 01 pc. 2F Straight - 01 pc. 1F Spiral Upcut - 01 pc. 2F Ball Nose - 01 pc. 2F Fish Tail Down Cut - 01 pc , CED - 3.175mm. 2F Fish Tail Up Cut - 01 pc, CED - 3.175mm. 2F Fish Tail Up Cut - 01 pc, CED - 1.5 mm. 2F Fish Tail Down Cut - 01 pc , CED - 1.5 mm. 2F Fish Tail Up Cut - 01 pc, CED - 0.8 mm. 1F Spiral Down Cut - 01 pc, CED - 0.8mm.